A visit to Glacier Bay National Park should be on everyone’s travel bucket list. 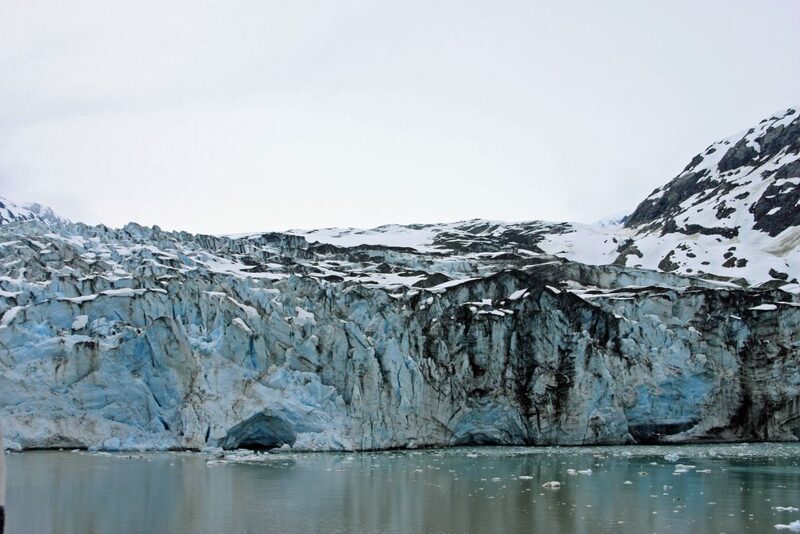 The opportunity to see the glaciers up close and personal is so awe-inspiring. We really hope that these Glacier Bay National Park Travel Tips help you plan your Alaska Vacation/Alaska Cruise. 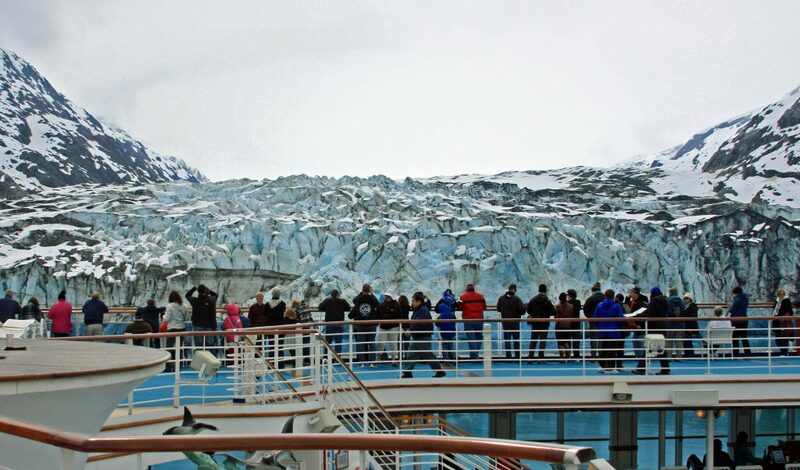 The majority of visitors to Glacier Bay National Park arrive via cruise ship. This is how we visited the park and it was truly amazing. We have cruised to Alaska a couple of times and each time we fall more and more in love with the area. There is just something about Alaska that draws you in. Boating permits are required to visit the park in June, July, and August. Permits can be reserved up to 60 days ahead of time. Permits are valid for seven days. Dress in layers! More layers than you think you are going to need for a day out looking at the glaciers. We thought we were prepared for the cold but ended up buying more layers on the ship and a few spiked coffees to stay warm. The wind coming off the glaciers is frigid! Trust me you are going to want to be out taking pictures not worrying about how cold it is. Bring extra camera batteries. The cold can zap the batteries life quickly and you want to make sure you can get as many pictures as possible. 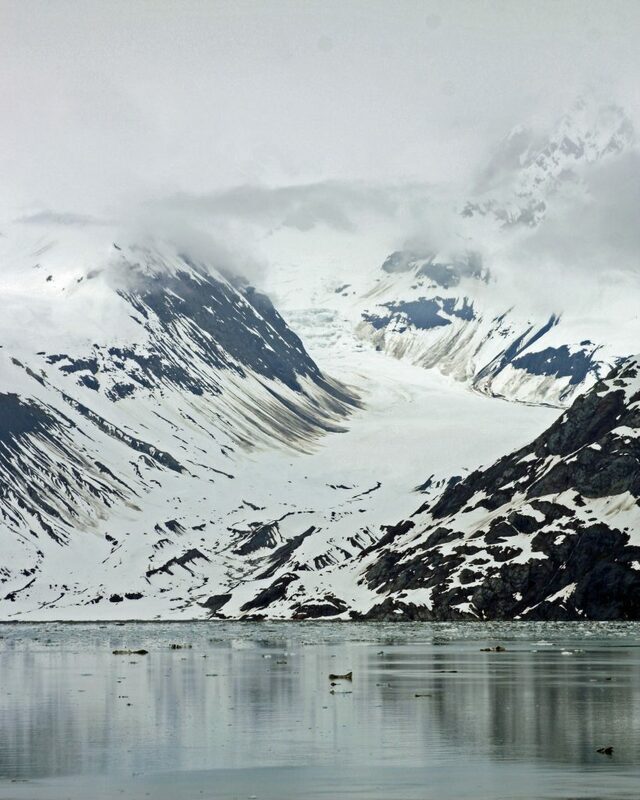 You can track the current weather conditions in Glacier Bay National Park here. Rangers will have the parks passport stamp available! Plan your viewing spots early. 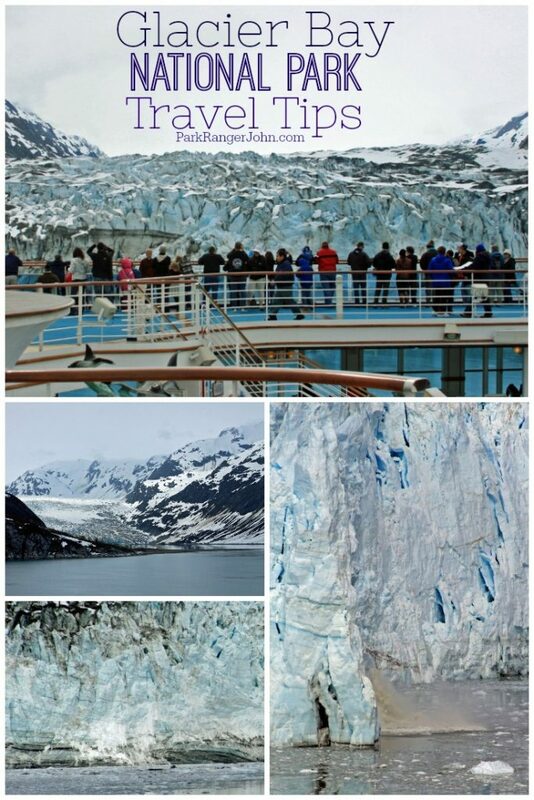 Walk around the ship and pick out your top 3 places to get the best photos of Glacier Bay. Be prepared for crowds and weather. The early bird gets the worm or in this case the whale. The highest concentration of whales on our last cruise was right before we entered Glacier Bay super early in the morning. Bring Binoculars with you! Have a couple of pairs depending on how many people are in your group. It is easier to have extras then to fight over who has control of them. Most cruise ships spend a full day in the park, traveling over 120 miles, and enjoy a full hour at the face of a tidewater glacier. How much does it cost to visit Glacier Bay National Park? How do I get to Glacier Bay National Park? The only way to reach Glacier Bay National Park is via plane or boat. The only road connects the small town of Gustavus and its airfield to the park headquarters at Bartlett Cove. Where are the Glacier Bay National Park Visitor Centers? The Glacier Bay National Park Visitor Center is located upstairs in the Glacier Bay Lodge. Open daily from Memorial Day through Labor Day. Exhibits open 24-hours, desk 11:00 am – 8:00 pm. If you are traveling to Glacier Bay via cruise ship the park will normally set up a pop-up visitor center on the ship with information on the park and a park stamp. Where can I find out about staying/camping in Glacier Bay National Park? Glacier Bay Lodge is the only lodge within the park. It is located about 11 miles from Gustavus, Alaska. The 49 room lodge overlooks Bartlett Cove with majestic views of the Fairweather Mountain Range. The only established campground within Glacier Bay National Park is at Bartlett Cove. The campground is a walk-in campground located about 1/4 miles from the main dock in Bartlett Cove. Campsites are available on a first come first serve basis. NO camping fees are required at Glacier Bay National Park. Campers in the Bartlett Cove Primitive Campground are required to attend a camper orientation at the Visitor Information Station. A free backcountry permit is required for overnight campers/kayakers. Is there a Junior Ranger Program at Glacier Bay National Park? Yes! You can even download the brochure from home. 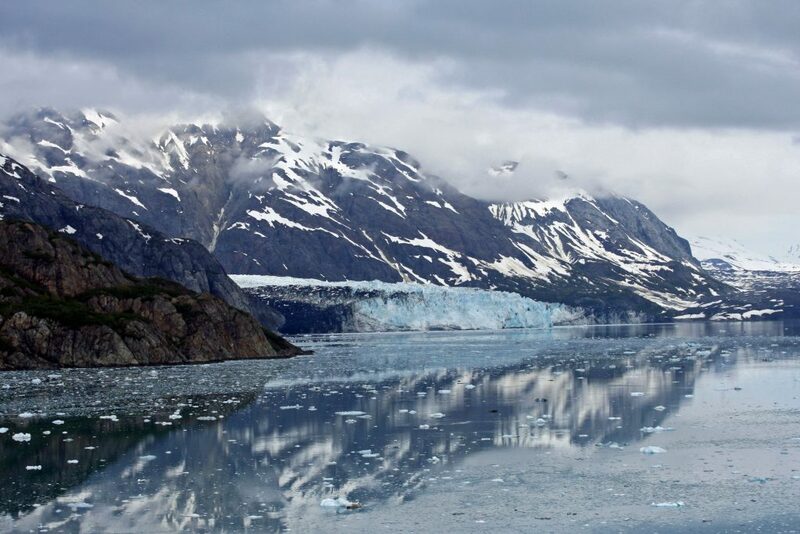 Check out the Glacier Bay National Park become a Junior Ranger page to learn more. Cruise ship children’s centers also offer a special Junior Ranger Program over the course of the cruise. While in Glacier Bay, park rangers present a special program to aspiring Junior Rangers. Can I bring my Dog/Pet with me to Glacier Bay National Park? Your pet must be leashed or physically restrained at all times. 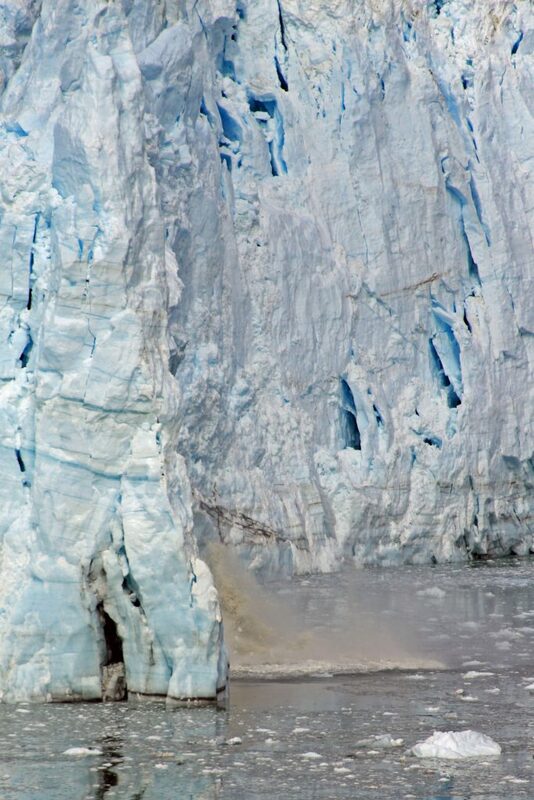 There are an estimated 1,045 glaciers in the park that cover 27% of the park. 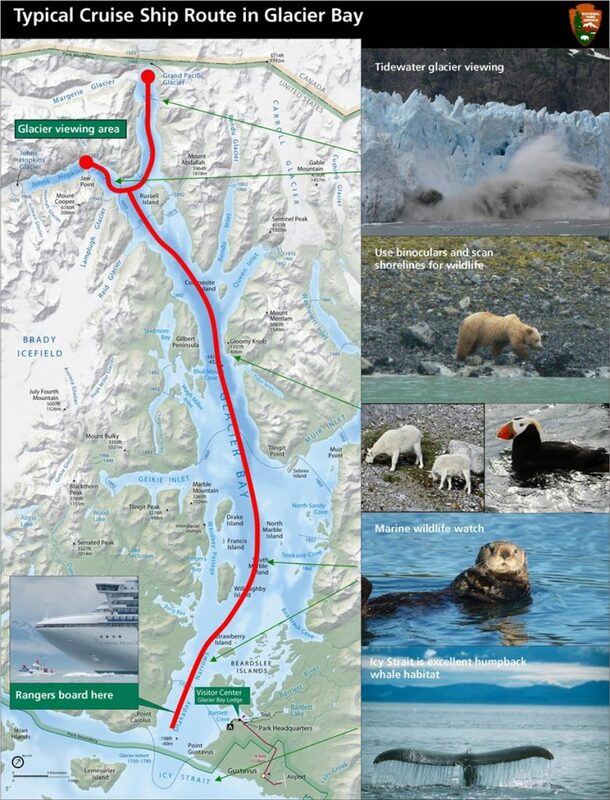 Visit the Glacier Bay National Park Plan your visit page here for up to date info on what is happening in the park. Check out these other great Alaska National Parks you can visit during your vacation. You can also find Glacier Bay National Park on Facebook.